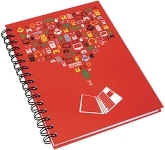 5 Top tips for using attention grabbing A5 notepads with logo! 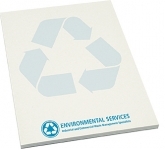 The purpose of printed business items is to distribute them in order to expose your brand to your customers. 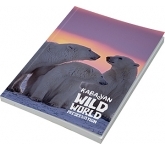 So, ideally, you want to use an item that they will look at frequently and one that is inexpensive and easy to distribute. 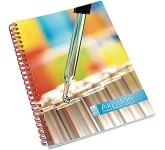 A lot of companies try to give away low cost promotional products which can at best hold attention for a few seconds. However, if you really want to achieve a higher level of brand awareness, you should focus on value. 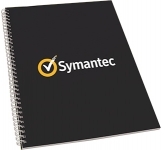 The items that you are giving away should be useful to your customers. Giving out items they will just throw in a drawer and forever forget about does you no good. 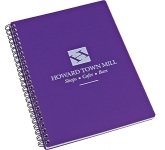 Instead, you should focus on promotional products they will use on a regular basis. That way, you can guarantee long-term brand exposure. 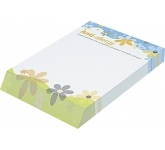 In essence, focusing on practical items such as A5 promotional notepads. 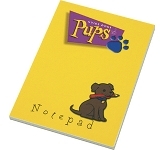 Thankfully, notepads are almost completely universal with virtually every single person on the planet requiring a notepad from time to time. 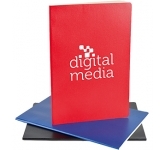 So, if you do your branding right, every message or a reminder they write down can serve to promote your business. 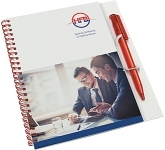 Calculating the ROI for promotional giveaways is not an easy task. But, if you put in the effort, you will probably notice that branded merchandise offers incredible returns. In fact, studies show that no other form of marketing can offer the same ROI. 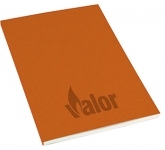 If you opt for promotional notepads your can keep your costs low and ensure your brand still receives a lot of exposure. 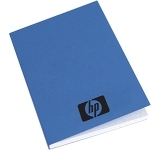 Printed A5 notepads are one of the most versatile items in the world. They are one of the most common things in schools and universities around the world. 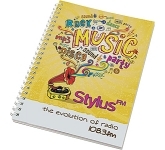 That makes them ideal for brands that focus on younger audiences and ideal university promotional products. 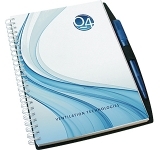 Notepads are also very common in offices, seminars and business meetings alike. 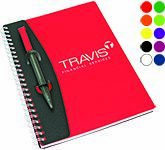 So, reaching people with notepads is incredibly easy, especially when used as trade show giveaways or at conferences, events and exhibitions. 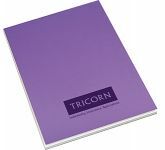 We offer a variety of printing options on our A5 notepads including the very latest in UltraHD print technology allowing us to reproduce full colour images and logos to a standard most can only dream of. Our team of graphic designers are always on hand to offer expert advice to ensure that your logo is reproduced to the highest quality, representing your brand in the very best possible way. 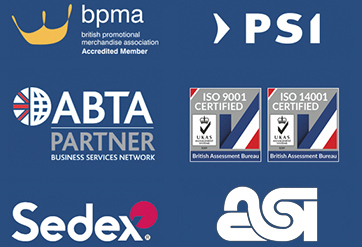 We check our prices daily against the leading UK suppliers to ensure that you are receiving the very best possible prices. 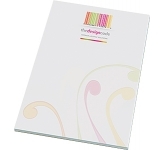 So, if you are looking for low cost, budget, value or cheap custom printed A5 notepads, and happen to find a lower price, just let us know and we will match it and back it with our Award Winning Customer Service - that's our guarantee! 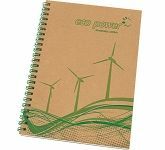 For additional information on company A5 notepads or how to use promotional products effectively, why not contact us and have a chat to one of our account managers who will be happy to advise you further.